Missing teeth can have a number of negative effects on a patient's smile. Not only can missing natural teeth result in spaces and gaps, it can also cause a person to lose their chewing efficiency, their ability to speak properly, and can even cause remaining teeth to shift out of place and change the person's smile entirely. By addressing missing natural teeth as soon as possible, patients can enjoy the benefits of a beautiful, fully functioning smile that can maintain its original alignment. One way patients can improve their smile is with surgically placed dental implants. What are dental implants? Worcester dentist Dr. Levenson described dental implants as metal rods that are surgically placed into the jawbone. They can act as a natural tooth root, and a dental crown can be placed on top to act as a false tooth. The dental implant is the most highly recommended natural tooth replacement at Levenson Smile because of its longevity and easy care and maintenance. They are a permanent replacement that requires little to no special care and can function as a natural tooth would. It can maintain the beauty of a patient's smile and help patients feel confident no matter how they experienced their original tooth loss. Dental implants are surgically placed by Dr. Sarah Shih, a specialist that can come into Levenson Smile and complete the dental surgery. The procedure itself is minor, but the healing can take several weeks and months before it is solid and structurally sound. This is because patients must experience osseointegration, which is the process in which the patient's bone wraps around the implant to hold it in place, similar to the way a natural tooth is held into place by the bone. This is what gives the implant the strength and support to function as a natural tooth would, making it the ultimate tooth replacement option for patients. 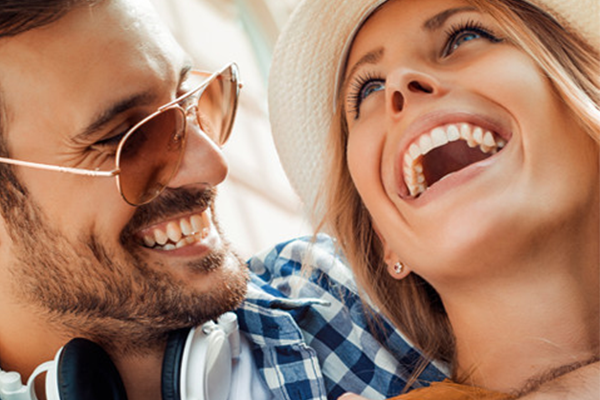 Restoring smiles is at the forefront of Dr. Levenson's practice. He enjoys focusing on providing patients with beautiful smiles that they can be proud of, and can do so through cosmetic dentistry and restorations. Dr. Levenson can consult with patients who are concerned about their smile and want to find ways to improve it. A consultation appointment and examination can be scheduled with Levenson Smile to learn more about cosmetic procedures that can assist in providing patients with the ultimate, unforgettable smile.